Our Mission: The student will come to know Christ Jesus and to develop a relationship with Him in order to equip them to live as his disciples. Traditionally in denominations who believe in infant baptism, Confirmation Class is provided by the church as the means of formally instructing younger ones in Christian faith. This instruction prepares them, if they so choose, to make a public declaration of their allegiance to Jesus Christ and become a full member of the Church. The Confirmation Class at Longview EPC is open to any 6th grader interested in this kind of instruction. Fellowship is for all youth (6th grade -12th grade). 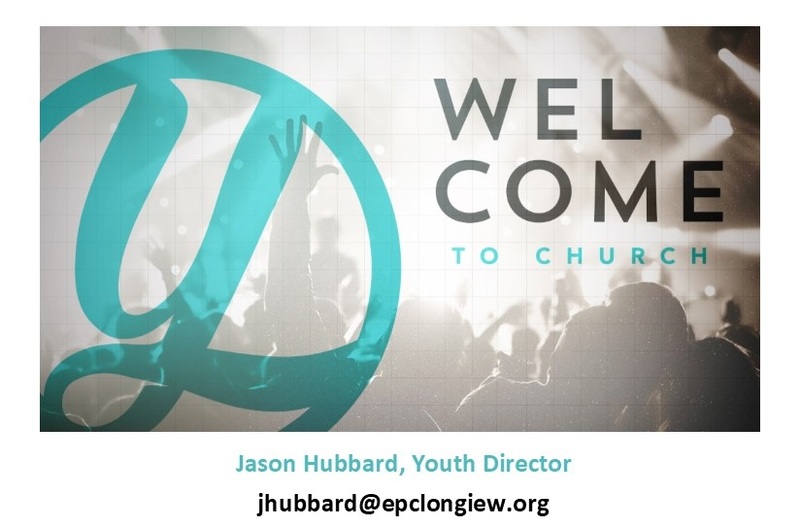 We meet from 5:00pm to 6:30pm at the church. Doors open at 4:45. We feed our youth dinner from 5:00pm-5:30pm. This program emphasizes our relationship with Christ and with each other providing service, recreation, and worship opportunities. Wednesday Night Bible Studies are for all our youth. The groups are divided by grade levels and meet in the homes of our Bible study leaders. The purpose of these groups is to commit to a weekly gathering time to intentionally learn more about Jesus and the Bible. We make a commitment to each other in heart, spirit, friendship, and vulnerability for an extended period of time. This is a time when we build a deep relationship with God through the study of the Bible and through sincere relationships with one another. Summer Mission Trips - Our goal for our youth and leaders is that their lives will be transformed as they begin to see their stories as a part of God's big, ongoing story ... something so much bigger than they ever imagined. Through meaningful service activities, group exercises, prayer and intentional times for reflection. Junior High and Senior High Retreats – Our retreats are a time of focusing on worship, small group opportunities, recreations, and group building. We attend Pinecove's Fall (junior high only) and Spring retreats. Summer Program – This program is for all youth. 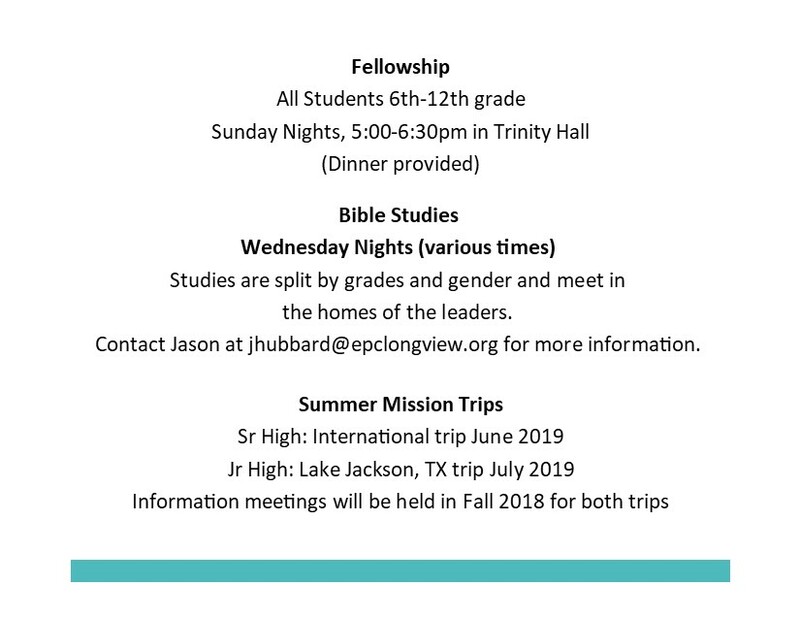 We offer a number of events to keep our youth connected to Christ and to each other throughout the summer. We spend time together at theme parks, paintballing, baseball games, the movie theater, VBS, etc. to build relationships outside the walls of the church building. In doing so, the youth realize that you can have fun and serve Christ at the same time. Also, that Christ is not simply in the building but is everywhere present and can be worshiped wherever we may be.